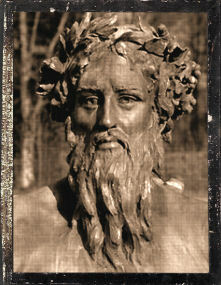 Blessing: Poseidon is one of the oldest and strongest of the Gods, whose kingdom is the sea. Sailors, fisherfolk, and all who work on or around the sea are his. He values strength and courage, but is not above taking even the most beloved sailor down to the briny depths. He is a chaotic God, completely unpredictable. He is also connected to horses, which form he frequently takes to mate with mortals and Goddesses alike. Ways to honor: Visit a beach. Ride horses. Go out on boats. Support fishermen and sailors. Fight pollution of our seas and beaches. Work to preserve the seas and the species that inhabit those waters. Study oceanography. Learn a water sport, such as diving or snorkling or boating.